Drop Seizure or Drop Seizure??? 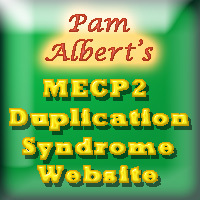 Drop seizures are extremely common among individuals with MECP2 duplication syndrome. There is a sudden loss of muscle tone, and if the individual is not supported, he or she drops suddenly to floor, sometimes resulting in injury. Usually these are brief and it is over in a second, but sometimes they come in clusters. While these drops are certainly one of the most, if not the absolute most, common seizures in MECP2 duplication syndrome, there are actually two kinds of “drops” that look pretty much the same, but are fundamentally very different. 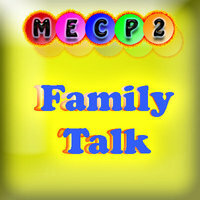 It is hard to tell them apart, and at least some individuals with MECP2 duplication syndrome, have both kinds. It may be helpful to figure out which kind is occurring, but it can be really hard to figure out, and it appears that at least some individuals experience both atonic and myoclonic drops. 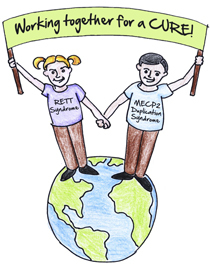 Research published in December 2016 provides a bit more information about seizure disorders in MECP2 duplication syndrome, particularly as they compare to seizure disorders in Rett syndrome. In general, this is a great piece of research as it describes the course of seizure disorders in Rett syndrome over a period of years. It emerged from the earlier natural history study. Unfortunately from the the perspective of MECP2 duplication syndrome, this publication is a bit disappointing, not because of any weakness in the sturdy or the reporting, but merely because the number of participants with MECP2 duplication and the number of observations in the study was relatively small, which only permitted a very limited picture of this group. If there is a lesson for the MECP2 duplication syndrome study to be learned from this study, it may be the importance of participation in the current natural history study in order for researchers to be able to glean useful information. A: There are different kinds of seizure disorders. B. It is possible for an individual to have more than one kind of seizure disorder. A few days ago, I posted a video (Drop Seizure Video) on this blog. It showed a girl having “drops” or what the video caption called “infantile spasms.” A large number of MECP2 Duplication Syndrome family members agreed that although their affected family members had many kinds of seizures, this looked a lot like what some of their drops look like. I definitely found this very interesting, since infantile spasms are generally described as starting before one year of age, and are very rare in older children or adults. This YouTube video looks a lot like what has been described as a drop in individuals with individuals with MECP2 Duplication Syndrome. The individual in this video does not have MECP2 Duplication Syndrome, but the video provides a good example of what some drops look like. Seizures present a major problem for individuals with MECP2 Duplication Syndrome. Most, if not all, will develop seizures at some point in their lives, and their seizures are typically extremely difficult to treat with conventional anticonvulsants. Some families have attempted to treat seizures with Cannabidiol (CBD) after widespread publicity has touted its apparent effectiveness in treating seizures in children and adults with uncontrolled epilepsy. Officially the verdict is still out on its effectiveness, but the good news is that their is now a flood of new scientific reviews and studies emerging and generally it is quite supportive of CBD. Listed here are a few recent publications and a brief summary of relevant findings. Hussain, S. A., Zhou, R., Jacobson, C., Weng, J., Cheng, E., Lay, J., et al. (2015). Perceived efficacy of cannabidiol-enriched cannabis extracts for treatment of pediatric epilepsy: A potential role for infantile spasms and Lennox-Gastaut syndrome. Epilepsy & Behavior, 47, 138-141.